A word book that lets you listen to 120 English words, spoken by a native speaker. Simple take one of the 10 cards (each features 12 words) out of the envelope and slot it in as instructed. Press 'go' and then press each of the pictures to hear how the word is pronounced. 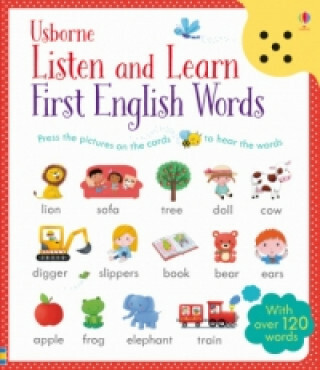 For preschool children learning English as either a first or second language.